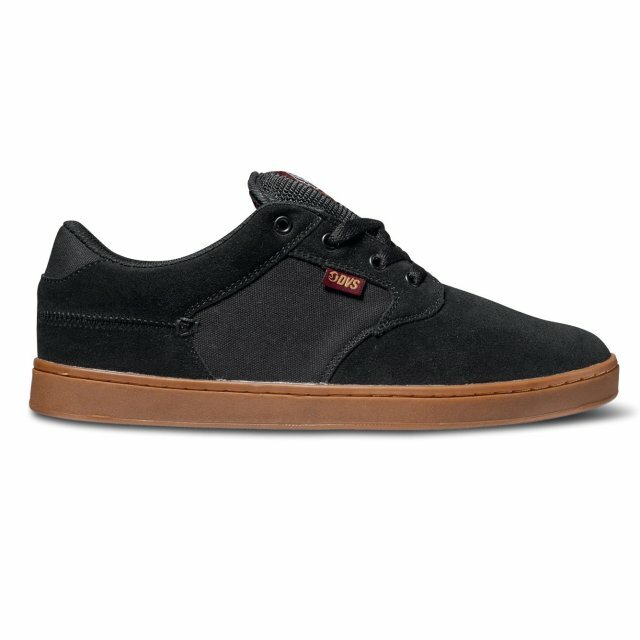 The Quentin from DVS is a classic skate shoe with a cup sole construction and a drop-in EVA midsole that adds comfort for a guaranteed smooth ride. The upper has a clean one-piece toe designed to prevent stich blow-outs and is offered in suede, smooth leathers, nubucks and canvas. The Quentin offers a classic herringbone tread design for maximum grip and enamel eyelets add durability. The Quentin is a serious skate shoe combined with a chill design perfect for casual wear. Cupsole construction. Drop-in EVA midsole adds comfort. Upper has a clean one-piece toe designed to prevent stich blow-outs. Suede, smooth leathers, nubucks and canvas upper materials. Classic herringbone tread design for maximum grip.